$10 Tickets are On Sale Now! We are about to help the Lonesome Heroes add the Martin Hotel to their list of legendary venues, and Nevada to the list of 27 states in which they have performed. This show will also strengthen our connection to Austin, one of THE hotbeds of new music in America today. One thing always leads to another, and when Leo Rondeau got back home, he passed on the word about this great little venue out in the middle of the Great Basin. 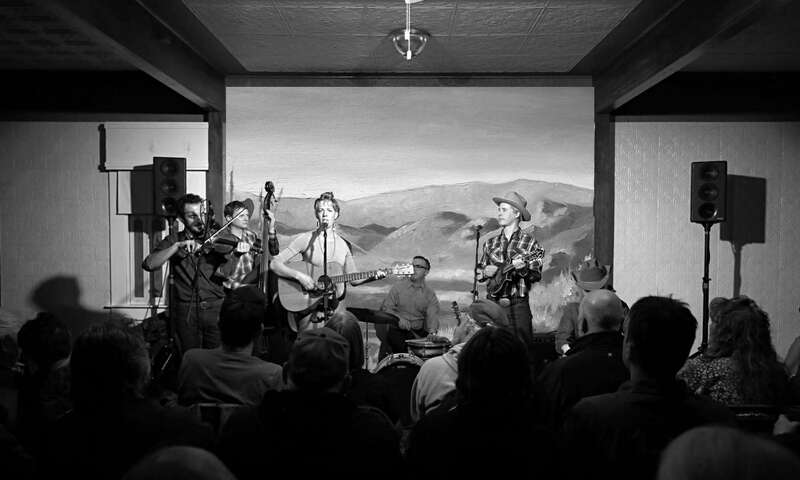 The Lonesome Heroes extensive tour schedule is bringing them though Winnemucca, and after giving a listen, we were compelled to set up a show for them. 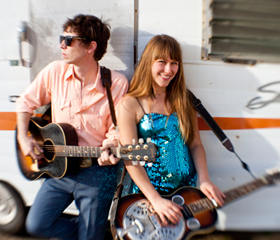 We think you will really enjoy this young duo with their wonderful songwriting skills, plugged in dobro, and their interesting “”chance meeting between Yo La Tengo and Patsy Cline” approach to their music. Proclaimed as “rewriting the rules of alt country” by the Austin Chronicle, The Lonesome Heroes have emerged as a singular talent out of Austin’s music scene. 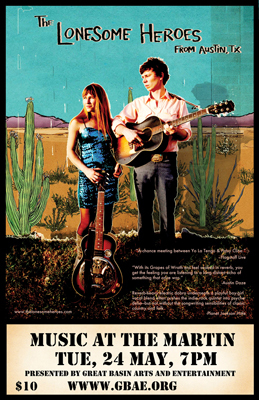 Songwriters Rich Russell and Landry McMeans founded the Heroes in 2005, and the pair has cultivated their Brooklyn and Texan roots into a unique sound that unites Indie Rock, Folk, and Country. Not the square kind of country, nor outlaw, or even contemporary country would fit The Lonesome Heroes. Reverb-heavy electric dobro underneath a playful boy-girl vocal blend pushes the indie rock quintet into psychedelia, but not without the songwriting sensibilities of classic country. Rich Russell: Vocals, Guitar, & Steel. Landry McMeans: Vocals, Lap Steel, Dobro, Guitar. Jeff Johnston: Electric Bass & Saw. Jim DeGregorio: Upright/Electric Bass, Banjo. Chris Clonts: Electric Guitar, Harmony Vocals. Kullen Fuchs: Trumpet, Vibraphone, Keys, Accordion, & textures. 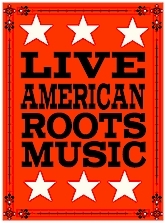 The Lonesome Heroes play 150+ shows a year both locally and nationally. Playing listening rooms as a two piece and large clubs and festivals with their 5 piece touring band.